The land of India is characterized by its diversity; an amalgamation of different cultures, tradition and lifestyles is what truly defines India. Adding to the climate, vegetation and wildlife, the food in this country is equally diverse. The cuisine of each region is influenced by its history and climate, such that, every place in the country boasts of a unique delicacy. And Indians do love to talk about their food. North Indian snacks go well in parties and get-togethers. You can try PapriChaat recipe, Aloo Chaat recipe, Raj Kachori recipe, Masala Papad recipe, Paneer Tikka recipe and Mushroom Tikka recipe. If you are fond of rich gravies and pulaos then try Rajma Masala recipe, Dal Makhani recipe, Dum Aloo recipe, Peas Pulao recipe and Capsicum Curry recipe. Without further ado let’s explore the rich and delectable dishes that North India has to offer. 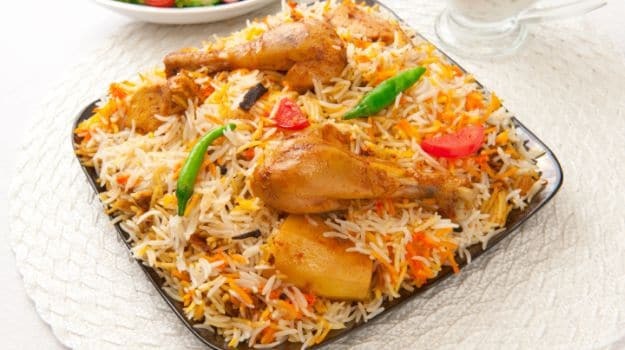 Here are some of the most popular dishes served in North Indian restaurants and homes. Try wowing your guests with these authentic and traditional recipes. What’s better than the crispy fried Bhature and spicy gravy prepared with chick peas or Chole to satiate the pangs of hunger. Add to the gravy a dollop of butter and a dash of lemon juice and the simple dish is taken to a whole another level. Even a serving of pickle and onions go well with the scrumptious dish. Originating in the North-Western part of the country, Chole Bhature has evolved as a favorite of millions across the length and breadth of the country. This simple dish from North India can be relished with a helping of rice or roti and is a favorite especially during the chilly winters. The aubergine is basted with oil preferably mustard and then grilled over red-hot smoking charcoal or an earthen stove using coal or firewood. The smoky aura of the freshly roasted eggplant is an alluring sight and the bharta garnished with chilies and onions is sure to leave one mesmerized. Punjabi breakfast, lunch and dinner is incomplete without the sumptuous parathas. The thin flat bread is a healthy choice of meal and can be relished with pickle or curd. The most amazing thing about parathas is their stuffing which are aplenty. You have an array of stuffing to choose from, be it aloo, gobi, muli, onion, methi, paneer, or even chicken for those who love their non-veg. What better than a piping hot plate of Rajma Chawal when you are in dire need of some comfort food? The iron and protein rich Rajma or red kidney beans accompanied with steamed rice or any Indian bread makes for a wholesome meal for the entire family. The Rajma, soaked overnight, is slow cooked in simmering gravy so that the beans soak in the conglomeration of masalas. A dollop of fresh cream added to the sauce transcends the dish to another level. Delicately flavoured paneer (farmer’s cheese or dry curd cheese) is teamed with peas, in a tangy gravy. Mutter paneer is probably the most frequently ordered vegetarian dish in Indian restaurants. It is one of the most cherished dishes of North India. Marinated overnight, the chicken is roasted and cooked in tomato puree, cream and masalas. A perfect dinner party recipe, this North-Indian style chicken recipe is made throughout the country with equal zest. Enjoy this creamy chicken dish, marinated overnight and then cooked to perfection. Sarso Da Saag and Makki Ki Roti is a dish which brings together all the flavors of Punjab on your platter. A combination made in the heaven, Makkiki roti is a flatbread made with corn flour dough and the Sarso Da Saag is a delicacy prepared with the tender stems of mustard leaves. The pungent aroma of mustard is balanced by the ginger, garlic and onion used in the concoction. The dish is best served hot and is usually accompanied with a piece of jaggery in its native Punjab. Sweets are an integral part of the any cuisine and the rabri is one such delicacy of the north. The amazing dessert which found its origin in the holy city of Mathura is also easy to prepare unlike other sweets. The milk mixed with sugar is brought to boil on a low flame and the layers of cream formed are accumulated till the volume of milk reduces to one-third its original. Some people like to add a little kesar (saffron) that imparts a beautiful hue to the sweet dish. Almond slivers can also be used to garnish the rabri. Dal BatiChurma is a typical dish of the land of desert, Rajasthan, and is a treat for your taste buds as well as your tummy. An assortment of pulses are used to prepare the Dal which is accompanied by the Bati, which is made up of wheat flour dough and baked in an earthen or brick stove using coal or firewood. The Churma which is a sweet dish, prepared with coarse whole wheat flour, and Rava deep in ghee with almonds and cashews used for garnishing, completes this wholesome and healthy meal. Though curd is used as an ingredient in many recipes and it even serves as an accompaniment to several dishes, this unassuming food item is given a delicious twist in the form of Kadhi. The curd mixed with gram flour is allowed to simmer, while the pinch of asafoetida is allowed to work its magic. Add a few pakoras or pieces of papad and the yummy kadhi is ready to be devoured. This delicacy from Rajasthan is a quite popular during the festivals of Teej, Makar Sankranti and Gangaur. The batter made using all-purpose flour is disgorged into a specially designed mould and then deep fried. The ghewar is then immersed into sugar syrup for a while and served hot with a topping of malai or mawa. The main ingredient which gives the dish its distinct flavor is the kewda essence, which is a plant extract. The Naan and the Rumali Roti have become an integral part of the Indian grub. While Rumali Roti is thin flat bread made with unleavened wheat flour dough, the dough for Naan, is thick flat bread, comprises a mix of wheat flour and refined flour. A leavening agent is added to the dough and the Naan is cooked in an earthen oven or tandoor. Different stuffing or a generous helping of butter can also be used to give the plain Naan a soft moist texture, and it tastes best when eaten with spicy gravy. The Rumali roti is cooked on the convex side of the tava and should be served hot accompanied with gravy. These are some of the traditional North Indian recipes that can help you satisfy your hunger pangs with the tasty and delicious food. You can order them online and avail huge discount using the zomato coupons.Try preparing these once and you’ll love them forever.